Ack, beads, I usually avoid them like the plague. I have the same problem, and on the rare occasion that a beaded pattern is too pretty to pass up, I mostly end up regretting it. That said, here’s the only thing I have come up with that keeps me from pulling my hair out. When I have a lot of beads on the ball, that’s not usually a big deal, as they just hang down out of the way. The problem is when I have a lot of beads on the shuttle thread. Here’s the trick. I pull out a lot, and I need a LOT of thread off of the shuttle; usually an arm’s-length at least, and shove all but a few beads way down there towards the end, then rewrap the shuttle. This keeps most of the beads out of my way for a a while, and I only have a few to fiddle with, and use, at any given time. But then I make a couple of rings and chains, use up the thread on the shuttle, and have to pull the thread off again, shove the beads farther down, then rewrap. Wash rinse repeat. This keeps the beads out of the way for the most part, but even so, I get too annoyed after a single pattern and swear them off until next Christmas when I feel the urge to make more glittery snowflakes. I have a similar relationship with metallic threads. Go figure. 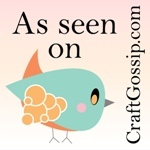 Surely there are others out there who use beads a lot, and have come up with better methods. If you have a brilliant way to keep sane while playing with these tiny balls of irritation, please share in the comments. I use this a lot in my designs. Hope this encourages you to take the ‘bead plunge’ and finally enjoy them! Oh thank goodness! I have a Christmas Tree pattern that I have bungled several times trying to come up with alternatives to having bead on the shuttle, you may have saved me just in time for gifts! Yep, that is how I do it to. I have worked with a crochet hook to add them to joining picots too. I cannot think of another way and look forward to seeing what others have to say. I haven’t tatted with beads yet, i have seen my sister crochett with beads and wonder if a small clamp of some type(I have some mini clothespins) could be used to keep the beads out of the way then just slide it along every time it inches close to your work. I think it might be easier than the rolling and rerolling the shuttle. 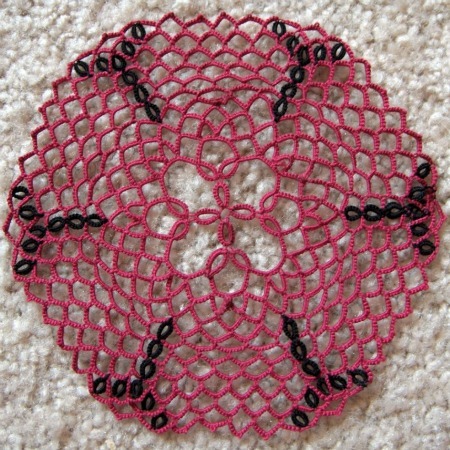 i was going to say the same as Jane, I often use the same joining to the picot technique for just 1 bead too. It is a bit more fiddly then stringing the beads on the shuttle, but you don’t have to deal with all those beads getting in your way. Also if the bead is a larger one, or dangles, there are 2 threads going through the hole instead of just one. I don’t needle tat that often, usually shuttle tat. But, when I have lots of beads, needle tatting is a whole lot easier. I try to add beads to picots, as Jane says, but there are times when they have to be on the shuttle. I’ve done what you did. I did try spacing the beads along the thread, but it’s very difficult to co-ordinate correctly, you can find yourself doing even more winding and unwinding than by your method. The clothes peg idea is worth trying. The other possibility is to make mock rings, curving a chain around, or doing self closing mock rings, so that you can keep the beads on the ball thread. 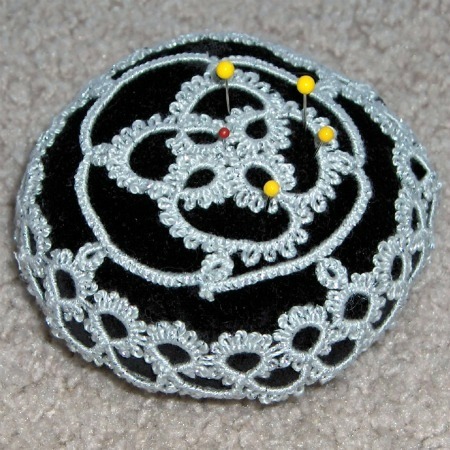 Tatting with beads for a collar or pin is easier if you use the needle tatting method. Load your beads on to the ball thread before you use your needle. Make sure the needle will go through the beads and thread is the same width as the width of the needle. Add the bead when making a picot or double stitches. 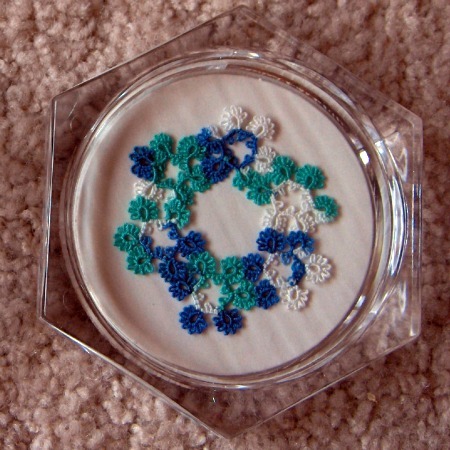 Needle tatting using beads is the answer to tatting with lots of beads. If you use a lot of beads on the shuttle, you need to use a large shuttle.